175,000+ initiated brothers since 1848. Currently, the Fraternity has over 8,500 undergraduate brothers in 122 chapters and 22 Delta Colonies in the United States and Canada. Leadership Development: The Fraternity has teamed with Dr. Kenneth Blanchard, fellow Phi Gam and author of The One Minute Manager, to develop a cutting-edge leadership development program called Taking the Lead. This four-part program uses a bottom-up approach to develop leaders throughout their college years. Academic Assistance: The Fraternity encourages and enhances academic performance through tutoring and study skills education. Our chapters consistently out-perform the All-Men’s and All-Fraternity averages. Scholarships: The Fraternity’s Educational Foundation offers over $340,000 in scholarships, which members can apply for right away. All men who achieve a 3.0 or better during their pledge semester will receive $250! Intramurals: Phi Gamma Delta strives to be competitive in intramural sports. We play to win! Career Development: Graduate brothers offer real-world education in a variety of career fields; some will offer internships and employment networking. Philanthropy: The Fraternity places a strong emphasis on serving others. Philanthropic projects are a major focus of activity for Phi Gamma Delta. Phi Gamma Delta’s International Philanthropy is The Red Cross and USO. Publications: The semi-annual magazine entitled “The Phi Gamma Delta” is sent to brothers to update them on the activities of the Fraternity on an International scale. 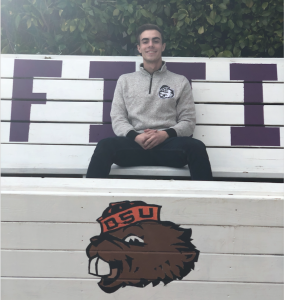 Locally our Chapter prints a Beaver Fiji once every term. Academy: Every January, brothers from all over North America gather for a three-day leadership academy to learn leadership skills, discuss chapter development, and share their best practices. Every January, our Fiji Leadership Academy is held in St. Louis, Missouri. 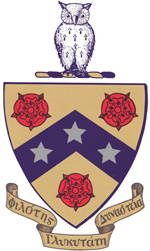 Convention: Every other even-numbered year, Phi Gamma Delta hosts its Ekklesia where undergraduate members conduct the business of the Fraternity. The Ekklesia is held in various locations where strong graduate support can lend assistance in planning. The education program consists of an 10-week process of learning Fraternity history, chapter operation and personal development. Meetings are held weekly and are taught by graduate brothers in the local area. Pledges are required to achieve a 3.0 cumulative GPA in order to be initiated. We intend to have the highest academic rank among all campus organizations. Pledge Fee: (one-time fee) – $70.00 due at time of pledging. Initiation Fee: (one-time fee) – $252.50 due at time of initiation. Includes cost of fraternity badge, membership certificate, opportunities for educational scholarships and grants, and membership dues for the first year. Chapter Dues :$910/term for all live in members, $300/term for all live-out members. Covers costs of in house chef, lunch and dinner (Monday-Friday), Brotherhood, Social, Philanthropy and Chapter operations. Values & Ethics: We were founded 164 years ago as an organization composed of men who are committed to the values of Friendship, Knowledge, Service, Morality, and Excellence. Today, those values are just as important, if not more so. Everything about our organization is rooted in these principles. Graduate Involvement: There are numerous graduates who volunteer to assist a Delta Colony. A specific group of them, known as the Board of Colony Advisors, will meet with the undergraduates on a regular basis to offer assistance and guide the Colony in the right direction. Parental Involvement: We encourage the involvement of parents. 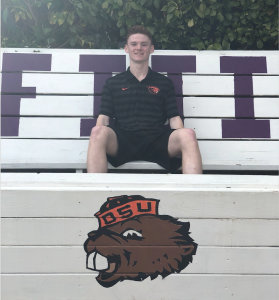 The concept of family is extremely important to our Fraternity, especially since Phi Gamma Delta is a man’s “home away from home” during his collegiate years. Risk Management: Phi Gamma Delta is adamant about following the law when it comes to the consumption and/or distribution of alcoholic beverages. 21 is the law! Alcohol was not a founding principle of the Fraternity and will not be a major aspect of Phi Gamma Delta.